I need to put my life back into neat little boxes. I have this tendency to spread it all around like an episode of Grey's Anatomy. Oh, a student said something that reminds me about an email I need to send my mom. I'll go do that right now. And then, there's this other email that needed a response, and FACEBOOK. Several friends and acquaintances have become LuLaRoe consultants this year, and the need to engage with their customer base has gotten out of hand for them. So, they are setting up "office hours." I'm totally stealing that idea. Before committing to this via blog, I tried it out for a few days, to see if it fit. And, you know what? 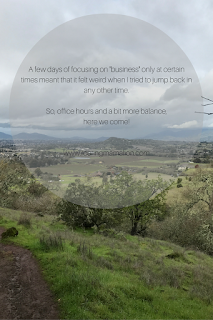 A few days of focusing on "business" only at certain times meant that it felt weird when I tried to jump back in any other time. I noticed how easily I can disengage from the world around me when I'm at the beck and call (or the pull, to be honest) of my phone. Huh, what? My son needs what? I don't like how it feels to pull myself back and forth between reality and social media. So, I'm going to do something about it. Anything that pulls me away from being present will happen when my kids aren't around. End of story. I'm utterly exhausted from saying, "Not now, Mommy has to do this one thing for work." And, it's rarely for my full-time job. It's for the extras I do voluntarily. The present will come first. And the extras will go back into the neat little pockets of time where they belong. This isn't all about being present for my children, although that sounds good, doesn't it? It's also about not feeling all parental-crazy and unable to hold a single thought in my head while I'm trying to get things done. I can't watch a video, write a blog post, caption Rev videos, or place a Thirty-One order, while my daughter is demanding that I find her "gock" (sock, though it sounds MUCH more like it it starts with a "c" while she yells it at the top of her lungs), or do my 30 minutes of workout videos while my son is begging me to find that one yellow Lego piece that fits on top of this car that I just made. Possibly, if I can't post about my various creative, business, or writing endeavors during prime business hours, I might lose out on engagement. I may miss watching important live videos from various leaders in my hobbies. I'll make a bit less money (maybe). I'll miss a couple of opportunities. Seriously...I'll be living instead of "engaging." After a year or so of dabbling in increasing followers in Instagram and engaging with readers on Facebook, I've realized that's not my why. 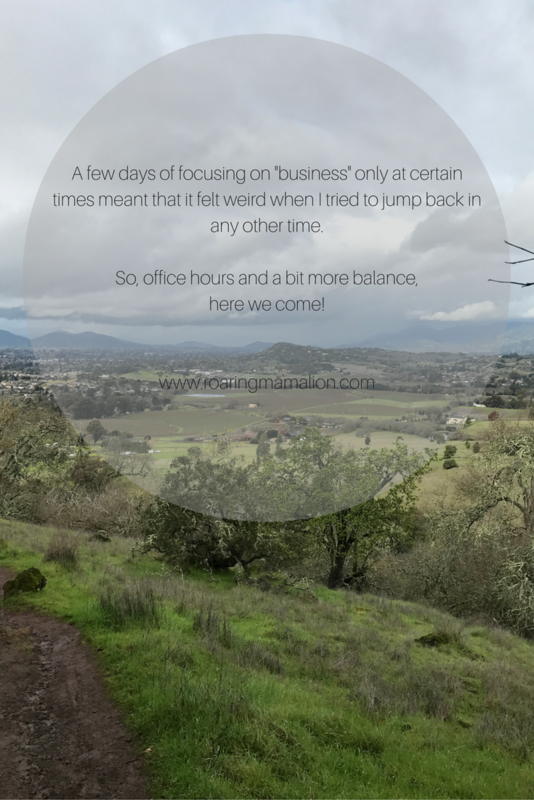 I'm not a blogger who commits to a schedule. I'm not a Thirty-One Consultant who reaches out to three individual customers a day. I'm not on Instagram to "increase engagement with my target audience." My why? I want to rock at being me. My target audience for real? My husband. My kids. My friends and family. My readers are great - but I'm not in this for the numbers. So, office hours and a bit more balance, here we come! Welcome to the new year, baby.